Do you know that brass is one of the metals used for making puja items like puja thalis, lamps, diyas, etc? These brass puja items are used in all pujas. In the early days, during pujas at home or at temples, the pure water or Gangajal used to be stored in brass pitchers or vessels. Not only for storing water, but for keeping the prasadam, the bhog, the flowers, and for keeping the puja samagris too, brass puja items were used. This metal is believed to attract and invoke the divine consciousness. Such religious advantages are not achieved from using the normal steel or aluminum thalis or items. Now, let’s understand the importance of brass items used in pujas. Brass items are believed to generate a spiritual sound, which helps in purifying the surrounding. Even for cooking the prasadam or the bhog that has to be offered to the Lord, brass utensils are used till today. It is believed that the spiritual waves get attracted towards the brass items. Earth is the creation of nature and so it obviously has more amount of religious constituents. Earth is believed to emit and imbibe the divine waves and positive energies. These energies are then captured by the brass items that finally emit these energies into the samagris or food kept on them. This means the samagris or the food kept on the brass thalis are charged up with these spiritual vibes and powers to protect the samagris and foods from every evil. Hence, it can be concluded that brass items are used in the pujas to emit a positive impact on the foods. Food items cooked in the brass utensils are also believed to be healthier than foods cooked in the other utensils. Actually, the juices and the nutrients of the ingredients containing voids are believed to become active when cooked in brass cookware. These foods are believed to give positive energy and strength to the body. The digestion process is also simplified with these foods. This is one of the reasons why brass items are still used for cooking foods especially when it comes to preparing the prasadam. Hindus strongly believe in the ancient ritualistic methods that were devised by the saints and the sages who all studied about the spiritual values of brass and other metals. You need to understand all the great attachments to the divine powers to stay happier and blessed with these powers always. There is a reason behind the tradition of using brass items and thalis in the Hindu pujas instead of the items and thalis of other metals like steel and aluminum? Using brass items or a brass puja thali has been a custom since the ancient times especially when it about rituals and pujas because of the subtle sound that is believed to be conducive to awaken the positive powers and destroy the negative spirits. 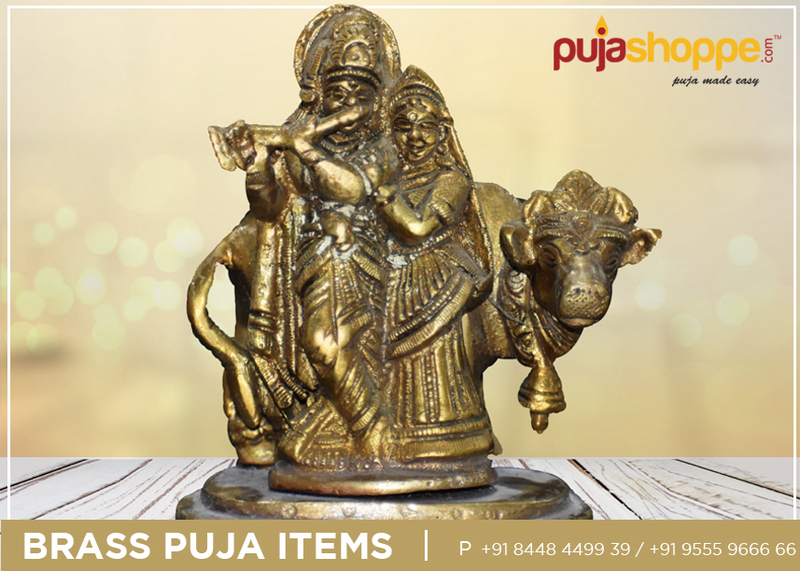 If you are also planning to conduct a puja at home then make sure to buy brass pooja items online to make your puja perfect in every divine sense. Previous PostWhat is the Story Behind Holi – The Festival of Colors?Next PostWhat Is the Significance of the Nine Days of Chaitra Navratri?